X-ray scattering techniques are a family of non-destructive analytical techniques which reveal information about the crystal structure, chemical composition, and physical properties of materials and thin films. These techniques are based on observing the scattered intensity of an X-ray beam hitting a sample as a function of incident and scattered angle, polarization, and wavelength or energy. Contact Mr. Antti Korpi for pricing information. Small-angle X-ray scattering device, suitable for investigating the structural properties of solids, liquids or gels. Contact Mr. Antti Korpi for availability information. Contact Mr. Jarkko Stenman or Prof. Janne Ruokolainen for pricing information. 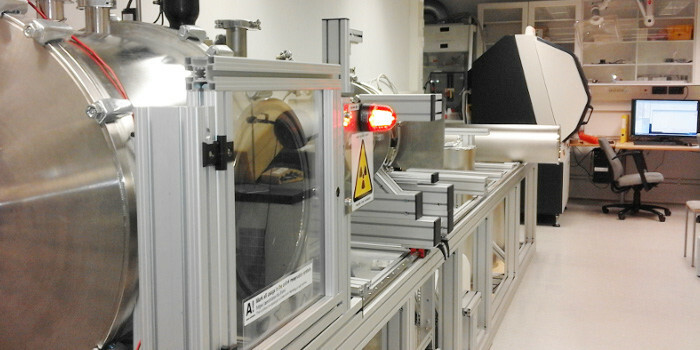 Wide-angle X-ray scattering device, suitable for determining e.g. the crystalline structure of polymers. Contact Mr. Jarkko Stenman or Prof. Janne Ruokolainen for availability information. Contact Mr. Sampo Inkinen for pricing information. XRD can be used to determine the atomic and molecular structure of a crystalline materials. Contact Mr. Sampo Inkinen for availability information.